These cool upcoming events will surely beat the heat. 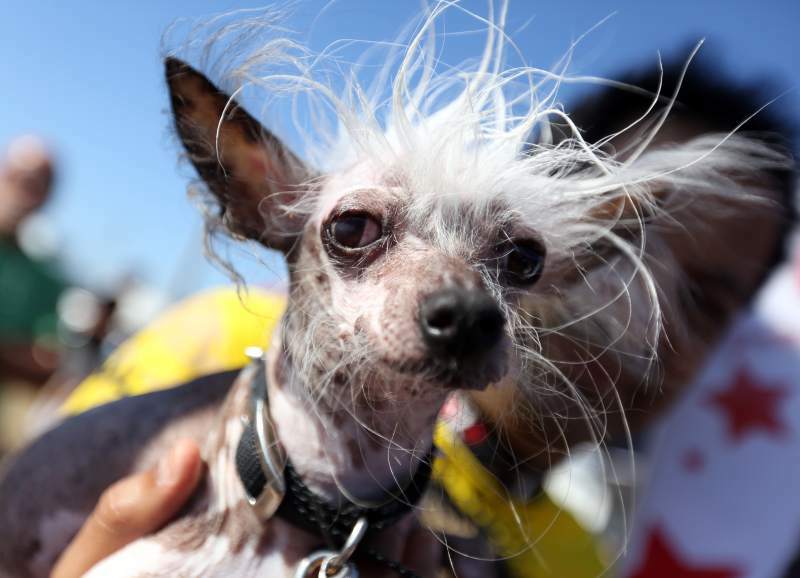 This Friday, check out the adorably ugly pooches at the World’s Ugliest Dog Contest. 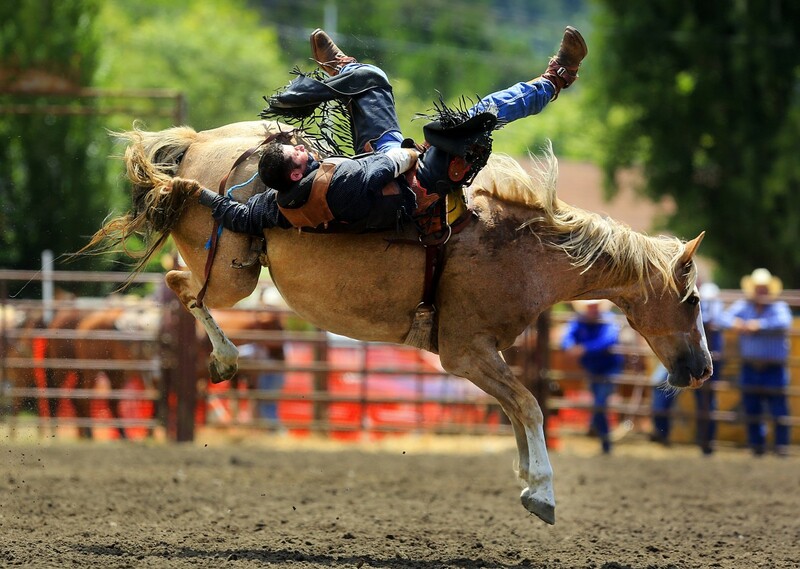 Tame your inner cowboy at the Russian River Rodeo. And rev your engines for the Toyota/SaveMart 350 at Sonoma Raceway. All this and more is in our list of things to do. Dana Gioia: California State Poet Laureate, 7 tonight, Copperfield’s Books, Montgomery Village, Santa Rosa. Free. 578-8938, copperfieldsbooks.com. ‘Forever Plaid’: Musical with nostalgic pop hits of the 1950s, opens 8 tonight, 6th Street Playhouse, Santa Rosa. $15-$37. 523-3544, 6thstreetplayhouse.com. Rubber Soul: Local acoustic/electric Beatles tribute band, 7:30-10:30 tonight, Rossi’s 1906, Sonoma. Free. 343-0044, rossis1906.com. ‘Nice Work If You Can Get It’: Gershwin musical comedy, Summer Repertory Theatre, opens 8 tonight, Burbank Auditorium, Santa Rosa Junior College, Santa Rosa. $18-$25. 527-4307, summerrep.com. ‘Bye Bye Birdie’: Raven Players’ production of the musical comedy opens 8 tonight, Raven Performing Arts Theater, Healdsburg. $10-$30. 433-6335, raventheater.org. Armstrong Redwoods Family Day: This Saturday, the stewards of Armstrong Redwoods State Natural Reserve are hosting a fun-filled for families under the redwoods. From noon to 5 p.m., the event will feature nature-based activities, including wildlife presentations, nature walks, games, arts & crafts and more. Food and beverages are available for purchase, and this is the final day to bid on items in the summer auction. Find out all the details at stewardscr.org. Community SAIF: The 1st annual Community Safety, Awareness and Involvement Festival takes place noon to 4 p.m. this Saturday. The focus of this event is equip the community with practical safety tips, resources and volunteer opportunities. Throughout the day, enjoy music and shopping, food and vendor events, and lots of vital information. Find out more at facebook.com/CommunitySAIF. Solar and Star Party: This Saturday, take a close look at the sky with the Robert Ferguson Observatory in Sugarloaf opens to the public for their monthly stargazing event. From 11 a.m. to 3 p.m., safely view the sun through solar telescopes. There will also be a yard sale at the same time, complete with telescopes, tripods, filters and more. Then at 8 p.m., the Observatory’s main telescopes will be open for public viewing. Docents will offer presentations on astronomical topics, and are available to answer any questions. The daytime solar event is free, and the Star Party is $3. Find out more at rfo.org. 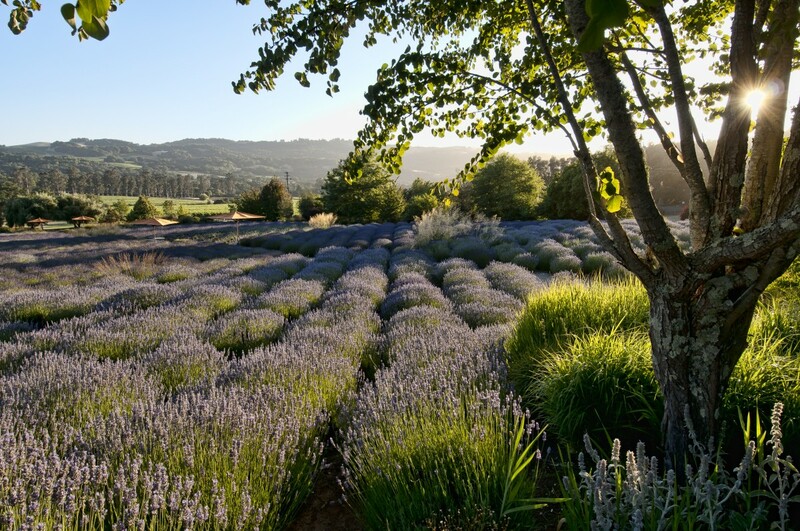 Days of Wine & Lavender: The sold out event at Matanzas Creek Winery in Bennett Valley shares the bounty of their lavender harvest, enhanced by an afternoon of live music, food and wine pairings, vineyard tours and more. Noon to 4 p.m. For more information, visit matanzascreek.com. Pueblo Day: On Saturday, celebrate the founding of Sonoma with an afternoon of historical fun. From 1-4 p.m., the Sonoma Barracks Courtyard takes a step back in time with costumed soldiers, settlers and servants from 1835. The free event will feature opportunities to make your own salsa and tortillas, and even your own Pueblo Flag. For more information, contact (707) 477-1398. ‘Thompsonia!’: Americana, rockabilly and blues with Suzy, Eric and Allegra Thompson, 8 p.m. Saturday, Occidental Center for the Arts. $25. 874-9392, occidentalcenterforthearts.org. ‘Fresh Paint’: Sonoma Valley Museum of Art gala with Los Boleros Cuban and Latin band and performer Ellen Toscano, 5:30 p.m. Saturday, Hanna Boys Center, Sonoma. $250. 939-7862, svma.org. ‘Charles M. Schulz’s Art & Life’: Lecture with Schulz Museum archivist Cesar Gallegos, 2 p.m. Saturday, Rohnert Park-Cotati Regional Library, Rohnert Park. Free. 584-9121, sonomalibrary.org. Timothy O’Neil Band: Folk-Americana plus The Sam Chase and The Untraditional, 9 p.m. Saturday, HopMonk Tavern, Sebastopol. $15. 829-7300, hopmonk-sebastopol.ticketfly.com. Garratt Wilkin & The Parrotheads: Jimmy Buffett tribute band, noon-3 p.m. Saturday, Village Court, Montgomery Village, Santa Rosa. Free. 545-3844, mvshops.com. Ranch Readiness Day: This free community event on Sunday is geared toward preparing rural families with animals for any emergency. From 10 a.m. to 4 p.m. at Shone Farm in Santa Rosa, there will be kids activities, CPR and large animal rescue demos, microchipping, firefighting and more. Find out all the details at ranchreadinessday.com. Farewell Dinner Concert: Nina Gerber, Chris Webster and special guests at restaurant’s final night, 7-9:30 p.m. Sunday, French Garden, Sebastopol. $25-$30, sold out. 824-2030, frenchgardenrestaurant.com. Chicago: Iconic rock band with ever-classic songs, plus special guest Rita Wilson, 8 p.m. Sunday, Luther Burbank Center, Santa Rosa. $86-$125. 546-3600, lutherburbankcenter.org. ‘The Three Musketeers’: Swashbuckling, romance and humor with Pegasus Theater Co., closing performance, 6 p.m. Sunday, Riverkeeper Stewardship Park, Guerneville. $18-$25. (800) 838-3006, pegasustheater.com. Kate Wolf Music Festival: Final day, four stages, 8 a.m.-11 p.m. Sunday, Neko Case, k.d. lang and Laura Veirs at 9:45 p.m., Black Oak Ranch, Laytonville. $120. katewolfmusicfestival.com. MNE 15-Year Anniversary: Reggae/hip hop with Kabaka Pyramid and The Bebble Rockers Band, 10 p.m. Monday, HopMonk Tavern, Sebastopol. $20. 829-7300, hopmonk-sebastopol.ticketfly.com. Kenny Rogers: ‘Final World Tour: The Gambler’s Last Deal,’ plus special guest Linda Davis, 7:30 p.m. Tuesday, Luther Burbank Center, Santa Rosa. $69-$250. 546-3600, lutherburbankcenter.org. Miracle Mule: Country music, ‘Tuesdays in the Plaza’ outdoor concert series, 6-8 p.m. Tuesday, Healdsburg Plaza. Free. 431-3301, ci.healdsburg.ca.us. ‘Boeing Boeing’: Summer Repertory Theatre opening night production of the high-flying comedy, 7:30 p.m. Tuesday, Newman Auditorium, Santa Rosa Junior College, Santa Rosa. $15-$25. 527-4307, summerrep.com. ‘Benedettiville’: Songs and stories for kids with Gio & Jen Benedetti, 10:30 a.m. Wednesday, Copperfield’s Books, Sebastopol. Free. 823-2618, copperfieldsbooks.com. ‘L’Elisir d’Amore’: Met Opera Summer Encores screening of the comic gem, 1:30 and 6:30 p.m. Wednesday, Rialto Cinemas, Sebastopol. $12.50. 525-4840, rialtocinemas.com. Danny Sorentino: Folk-rocker and covers and originals with Laughing Gravy, ‘Peacetown Summer Concert Series’ opener, 5-8 p.m. Wednesday, Ives Park, Sebastopol. Free. 823-1511, sebastopol.org. Real Estate: New Jersey rock band, 7:30 p.m. Thursday, Old Redwood Barn, Gundlach Bundschu Winery, Sonoma. $35. gunbun.ticketfly.com. Foreverland: Fourteen-piece Michael Jackson tribute band, ‘Concerts Under the Stars,’ 5:30-8 p.m. Thursday, Village Court, Montgomery Village, Santa Rosa. Free. 545-3844, mvshops.com. Monophonics: Psychedelic soul band and soul artist Allen Stone, 7:30 p.m. Thursday, Sonoma Mountain Village Event Center, Rohnert Park. $38. somoconcerts.com. Aqua Nett: Hair metal legends band, ‘Summer Nights on the Green’ outdoor concert series, 6-8 p.m. Thursday, Windsor Town Green. Free. 838-1260, townofwindsor.com. ‘Macbeth’: Opening night of the outdoors ‘Shakespeare in the Cannery’ tragedy, 7 p.m. July 1, Railroad Square, Santa Rosa. $5-$50. shakespeareinthecannery.com. SFJAZZ Collective: Music of Michael Jackson plus original compositions, 7:30 p.m. July 1, Weill Hall, Green Music Center, Rohnert Park. $30. (866) 955-6040, gmc.sonoma.edu. Funky Dozen: Dance music from the ’70s to the ’90s, ‘Funky Friday’ outdoor concert series, 7 p.m. July 1, Hood Mansion, Santa Rosa. $10. 833-6288, funkyfridays.info. David Luning Band/The Sam Chase: Americana, ‘Friday Night Live’ outdoor concert series, 7 p.m. July 1, Cloverdale Plaza. Free. 894-4410, cloverdaleartsalliance.org. Penngrove Celebration: A weekend of fun awaits you next week in downtown Penngrove. Saturday, July 2, enjoy a pancake breakfast at the Rancho Adobe Fire Station from 7-11 a.m. Then on Sunday, July 3, don’t miss the “Biggest Little Parade in Northern California, kicking off at 11 a.m. Also on Sunday, the SMART train will be open for tours from 9 a.m. to 4 p.m., and a BBQ will be held at Penngrove Park from noon to 4 p.m. Find out all the details at www.penngrovesocialfiremen.org. ‘Surf Craft’: Exhibit opening, reception at 6:30 p.m., ‘Chasing Mavericks’ film at 8 p.m. July 2, Sonoma Valley Museum of Art, Sonoma. $20. 939-7862, svma.org. Guerneville Independence Day Weekend: Laser Light Show and Uncle Sam’s River Dance, 8 p.m.-midnight July 2, Main Street, downtown Guerneville. $5 suggested donation. 869-9000, russianriver.com. 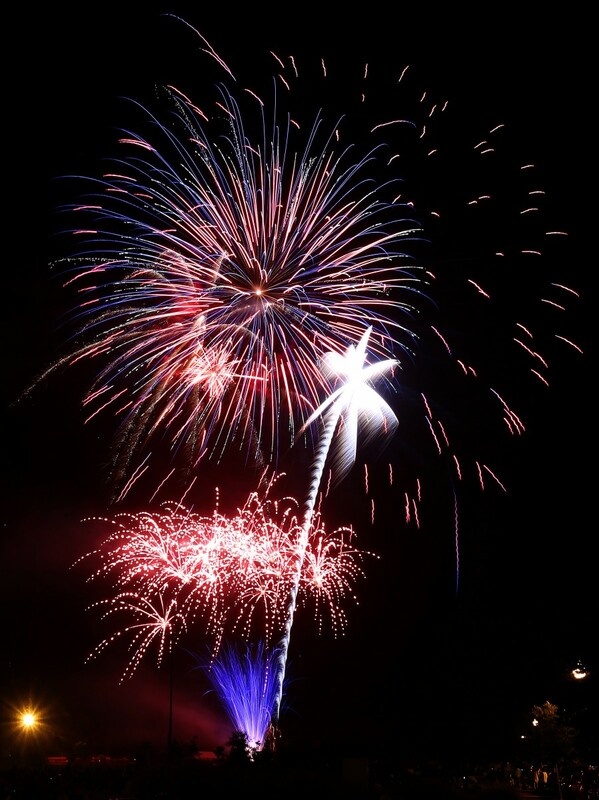 ‘Fireworks Over Bodega Bay’: Fireworks display, 9:30 p.m. July 2, Westside Park, Bodega Bay. Handicap parking only; show visible along Bodega Bay harbor. Free, donations taken. 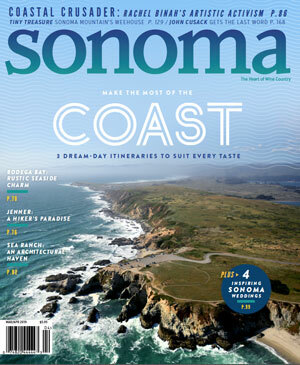 visitbodegabay.com. American Authors: ‘Summer Concerts’ series opener, indie rock band and post-show fireworks, 7 p.m. July 2, Robert Mondavi Winery, Oakville. $70-$100. (888) 769-5299, robertmondaviwinery.com. California Beach Boys: The Beach Boys tribute band, ‘Rockin’ Concerts’ series, noon-3 p.m. July 2, Village Court, Montgomery Village, Santa Rosa. Free. 545-3844, mvshops.com. Monte Rio Fireworks: Water Carnival Boat Parade at dusk, Water Curtain patriotic show, followed by fireworks, July 3, Monte Rio Beach. Free. 865-6100, monterio.org. Windsor ‘Kaboom!’: Kid Zone activities, Foreverland and McKenna Faith performances, food trucks, fireworks finale, 4-10 p.m. July 3, Keiser Park, Windsor. $5. windsorkaboom.com. Sebastopol Fireworks and Music Festival: Jason Beard and Poor Man’s Whiskey, games, food, fireworks, 5:30 p.m. gates, July 3, Analy High School football field, Sebastopol. $5-$10. sebastopolkiwanis.org. The Lucky Losers: Rhythm and blues, ‘Live at Juilliard’ summer concert series opener, 5-7 p.m. July 3, Juilliard Park, Santa Rosa. Free. 543-4512, srcity.org/liveatjuilliard. Rick Lenzi & Roustabout: Tribute to Buddy Holly and Elvis, noon-3 p.m. July 3, Village Court, Montgomery Village, Santa Rosa. Free. 545-3844, mvshops.com.